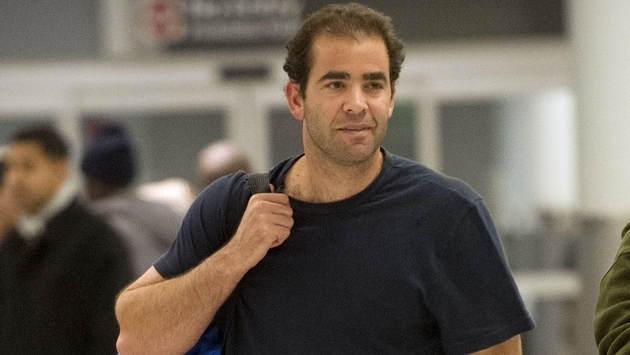 The Greenbrier, the classic American destination resort in the foothills of West Virginia's Allegheny Mountains, announced today that it has appointed Tennis Hall of Famer Pete Sampras (pictured above, courtesy Splash News) as its first-ever Greenbrier Tennis Pro Emeritus. For the past two years, Sampras has visited The Greenbrier in September to headline The Greenbrier Champions Tennis Classic, alongside fellow American Hall of Famer John McEnroe at the inaugural event in 2012, and again in 2013, when he teamed up with McEnroe to take on the European challengers of former world No. 1 Ivan Lendl and current tour player Tommy Haas. With his appointment as The Greenbrier Tennis Pro Emeritus, Sampras -- who spent 286 weeks of his professional tennis career ranked as the No. 1 player in the world, won 14 Grand Slams and 64 singles championships -- continues the storied legacy of tennis at The Greenbrier, which dates back to the 1890s when tennis debuted on the lawn in front of the resort's still-standing Paradise Row cottages. Since then, The Greenbrier has hosted numerous tennis matches and championships, including The Mason and Dixon Championships in the 1920s and 1930s, with winners including Bill Tilden, Francis Hunter, Vincent Richards and Ellsworth Vines. Today, The Greenbrier's state-of-the-art Tennis Center boasts five Har-Tru outdoor courts with views of the spectacular surrounding Allegheny Mountains, as well as five recently resurfaced Deco-Turf indoor courts and a modern pro shop. For more information about The 2014 Pete Sampras Tennis Clinic at The Greenbrier, please call 304-536-7759, or visit here online. For more about The Greenbrier resort, please visit: www.greenbrier.com. And follow The Greenbrier resort on Twitter at @The_Greenbrier.